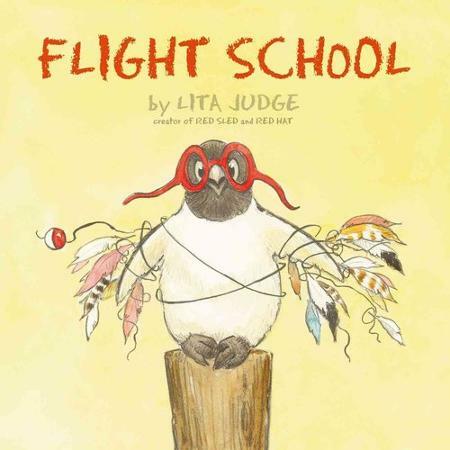 This week, we read the delightful picture book, Flight School by Lita Judge. 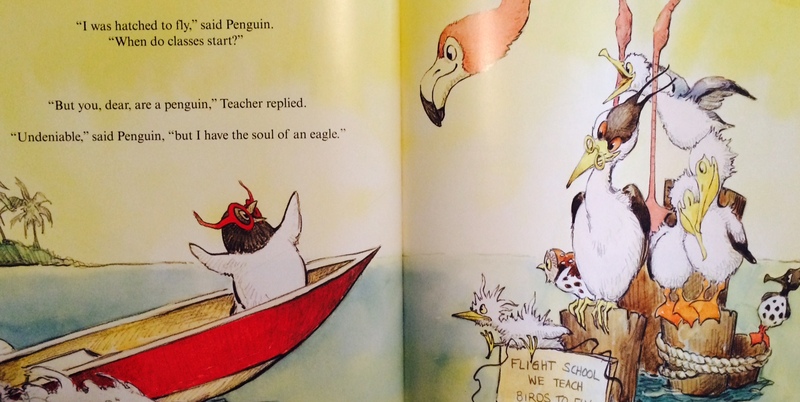 The story begins when a determined penguin shows up to flight school and proclaims, “...I have the soul of an eagle.” My first graders giggled and commented that penguins are not flying birds. 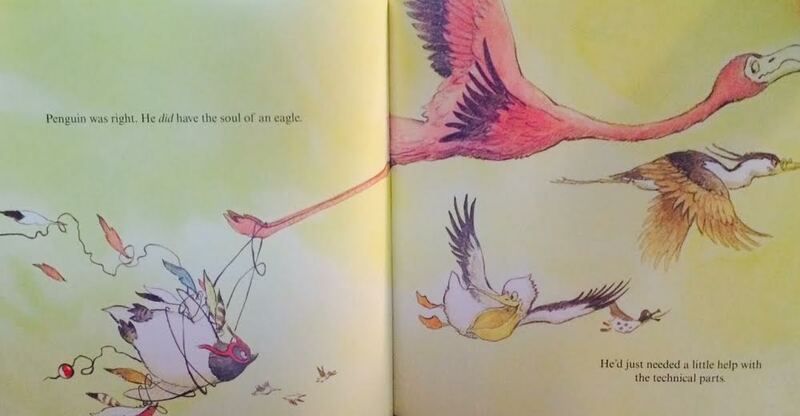 While this indeed is a fact, this book shows us that sometimes, everybody needs a little help to make their dreams come true. While reading the story the first time around, my first graders kept saying, “But you said if we PERSEVERE and keep trying, then our dreams will come true.” I was dumbfounded when my little ones called me out on this. Persevere is an integral word being used at our schools throughout all subject areas to highlight the importance of figuring out problems and here was this penguin, who no matter how much he practiced, could not fly. A major success at our school this year is having P.E. teachers, Yahoo! I love watching our kids move, jump and do activities that cross their midline – an important skill that can affect learning. We also just got a garden where our kids will be able to explore and learn about nutrition and life sciences. And while our school does provide a quality intervention program, a learning center for students who need extra support, and an after school enrichment program, there are so many schools that are still lacking basic needs. All kids, no matter where they are from, have the right to an opportunity to develop not only academic skills, but other skills that make their souls’ sing. When we read this part of the story, I was moved by my students who were so open about their frustration of having difficulty with reading. One little girl quickly said, “I don’t know how to read, how Penguin can’t fly and I try and try.” Then a few more said the same. This led to another conversation about limitations – that we all have certain limitations. Nevertheless, we must persevere and go about figuring it out another way. Again I expressed we are all great at something. I asked the little girl what she was good at. She said coloring and dancing. She even got up to show us a few moves. Another student shared he had learned to write his last name without having to look at the name card. This student then joined the other student in showing the class more dance moves. Not only are these two rhythmically gifted, the second student is also an incredible athlete. I often say I wish I had the opportunity to take formal dance lessons as a child. My parents didn’t have enough money to take me to dance lessons and I wish it were offered for free at my school. This is why I feel so passionate about schools providing a myriad of learning paths. Why the arts and music are so crucial and necessary in all schools, not just for the schools who have the resources and the luxury of asking parents to fund such programs. Penguin was right. He did have the soul of an eagle. He’d just needed a little help with the technical parts. I make it a point to show my first graders my blunders so they understand it is normal to not know and OK to ask for help. I often tell parents to not share report cards with their students because we are all so much more than a grade. To be clear, I am not saying intervention is a waste of time. No doubt, early and ongoing intervention is necessary. But there has to be a balance between academics and nurturing a child’s curiosity and spirit. Perhaps your child is struggling academically and they require tutoring, intervention and lots of support. But they might also have a knack for theatre and can memorize a script and perform onstage like a pro. Maybe their athletic skills are off the charts or their artistic abilities are breathtaking. 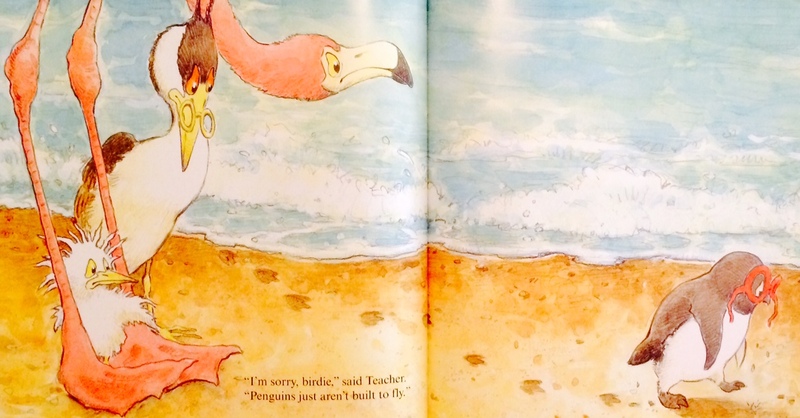 Learning is not black and white, not even for a little penguin because at the end of the story, the teachers find a creative way to help Penguin fly.